Thanks for joining me on this journey, even if for just a few moments! I’m Jennifer. My friends call me Jen. Just please don’t call my Jenny. I’m a 30-something wife and mom just walking this road of life like everyone else. I’m your typical American mom, working, raising kids, and loving my hubby…I’ve just been doing it in Vienna, Austria and the west of Ireland. However, after a decade of life overseas, we are beginning a new adventure: Moving back to America! 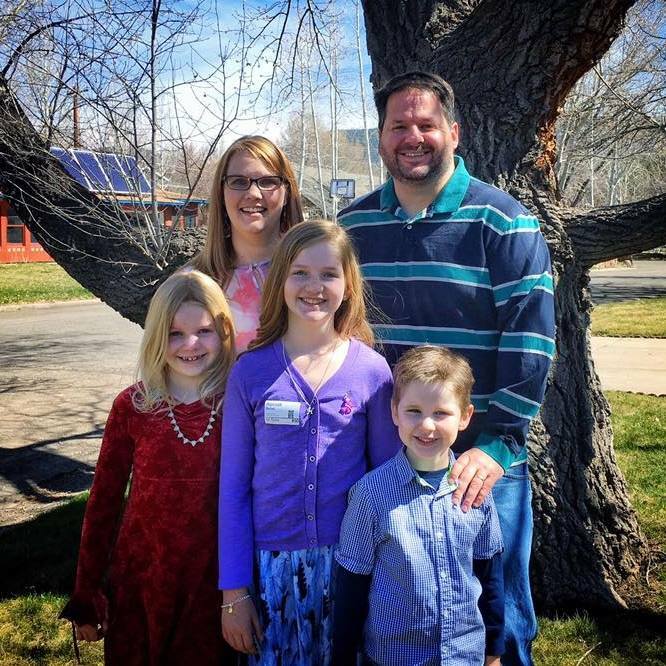 We don’t know what the future holds for us exactly, but we know without a doubt this was the next step for our family on our crazy, wild journey of faith. I love my family, music, dance, coffee and chocolate. My faith is the most important thing in my life, family is a close second. 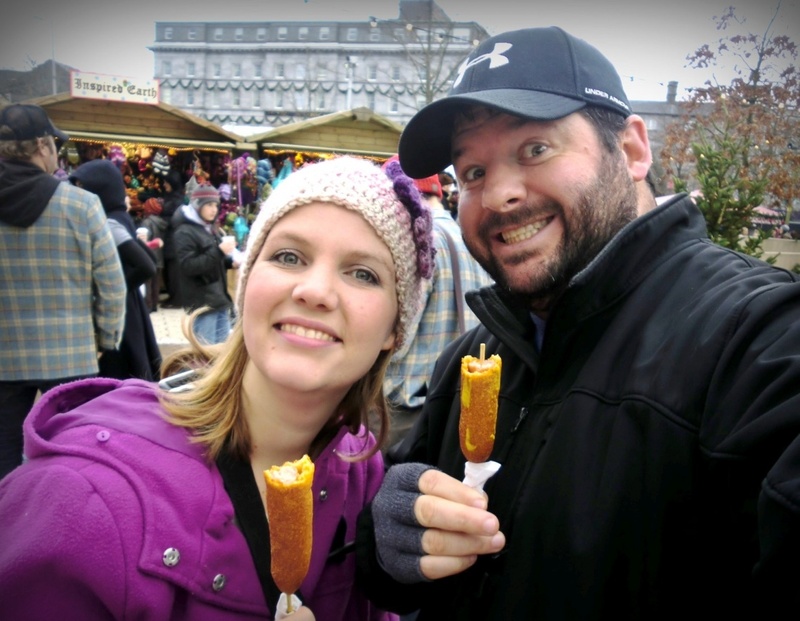 Me and The Hubs with a rare find in Ireland: Corndogs!! 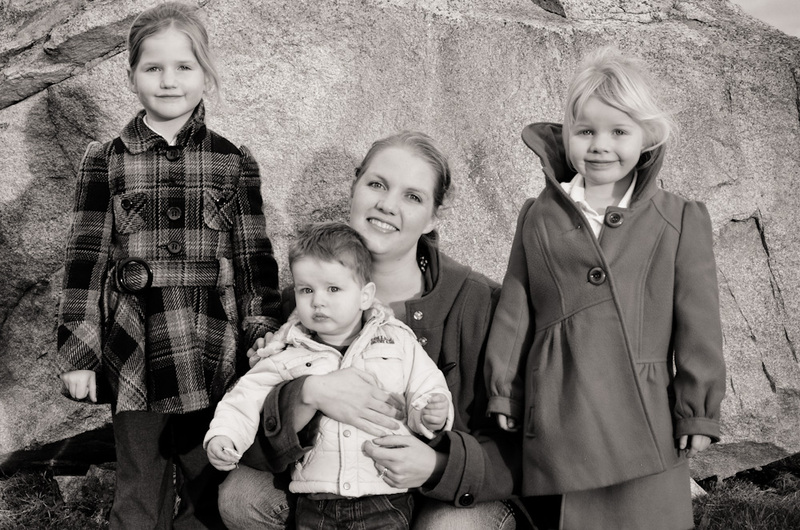 I have been married to the love of my life since 2000 and we have three children: two lovely girls ages 11 and 8 and a sweet, energetic 5 year old boy. I am a writer, blogger, and aspiring novelist. I can’t tell you how terrifying and exciting that last part is to tell you. I’ve been working on a novel for longer than I care to admit. However, now is the time for me to finish it and get it out there. Watch this space for more info! 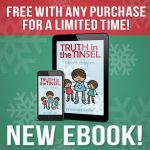 This little corner of the web is a place I started as an outlet for my thoughts and feelings as I figure out this marriage, motherhood and faith thing step by step. What you’ll find here is a mix of everything. Mostly it’s stories or observations from my own life and the world around me. 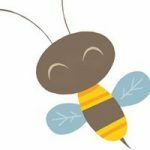 Occasionally you’ll find tips, tricks, or recipes…but those will usually be guest posters because, let’s face it, I’m the least organized person you’ll ever meet. 🙂 It is my hope and prayer that you leave this space more encouraged and/or challenged to grow in your faith than when you arrived. 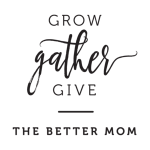 I am honored to be a monthly contributor at The Better Mom and have posts shared at (in)courage, Djibouti Jones, Tricia Goyer, Unveiled Wife, Intentional by Grace, and more. I love chatting with you, so please connect with me on Twitter, Facebook and Instagram. When I’m not those places, you can find me at my local coffee shop, playing Old Maid with my girls and Nerf gun battles with my son, or having a cup of tea with the neighbors. There’s always a fresh cuppa awaiting you at my table. Come, sit down, and let’s chat!